Happy St David’s Day 2018! We thought we’d celebrate with a competition. Take part on our Whole Grain Goodness Facebook page to be in with a chance of winning a fabulous Fastbake Bread Maker. To use the bread maker, all you need to do is put in the ingredients, select a programme, then sit back and wait for your delicious loaf, whilst the beautiful smell of freshly-baked bread wafts through your home. Besides being able to do all kinds of speciality breads, including a lovely, satisfying whole-wheat loaf, you can also prepare dough for bread rolls, pizza, cake and more. It’s very easy and you get to enjoy real homemade freshness. You can choose from 12 programmes from whites to cakes, jam and dough, with a choice of 3 loaf sizes (1lb, 1.5lb and 2lb loaves). There are also 3 crust settings and a clear viewing window so you can monitor the baking process. 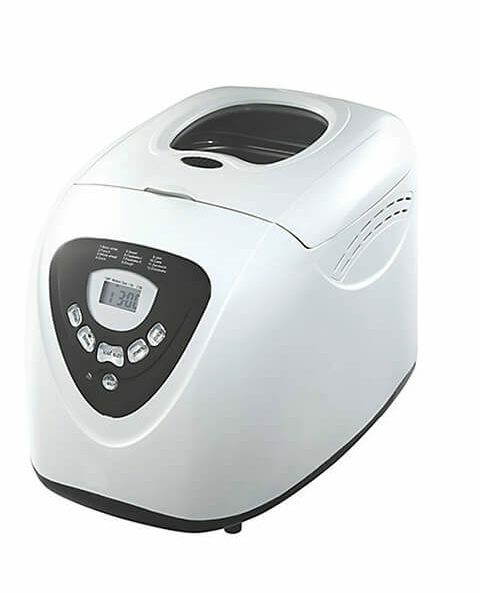 It also has a 13 hour delay so you can wake up to the smell of freshly-baked bread, and an easy-to-read LCD display and cool-touch body means that using and handling the bread-maker is easy. To be in with a chance of winning, you must like and follow the @WholeGrainGoodness Facebook page and reply to the competition post on this page today – Thursday 1st March – with your answer to the following question: ‘Find the daffodil in the picture’. 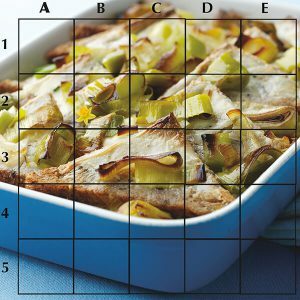 The picture is of our tasty Leek & Bread Pudding recipe – in celebration of the leek – a famous Welsh symbol. Follow @WholeGrainGoodness to keep up with our latest blogs, competitions, videos and recipe inspiration. We aim to show that healthy eating can be surprisingly good!